This March come see the hunters rugby team like you’ve never seen them before! 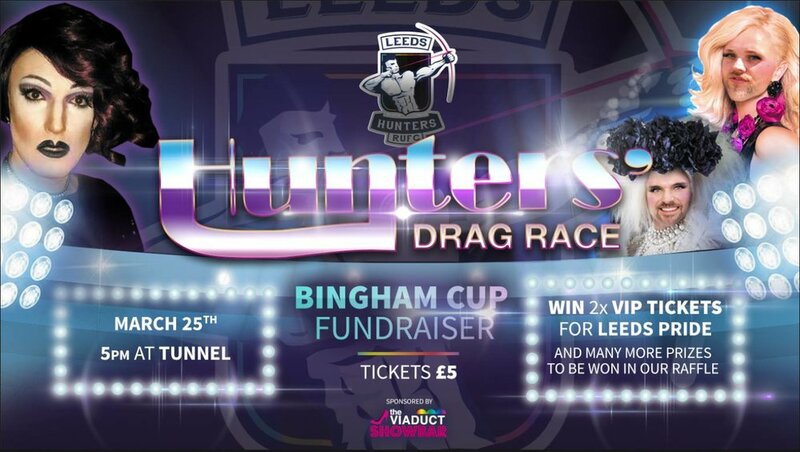 They'll be swapping their boots for high heels and sissy that walk to help raise funds for our trip to the Bingham cup in Amsterdam. The Hunters will battle it off against each other to be crowned Queen Hunter! Including Lip-syncs, catwalks and mini challenges. The night will be hosted by Phil Oldershaw from the Viaduct and they'll have very special guest judges including Francesca MacDuff-Varley the Viaduct Showteam choreographer and 3rd place runner up on the apprentice! With special guest, The Witch Blair winner of Queen Bee 2017! £5 entry - either pay on the door, get a ticket from one of the hunters or from The Viaduct bar staff once available. Also don’t miss out on the raffle where you could win 2 VIP tickets for Leeds Pride! and many other great prizes.